Who makes the best media streamer? If you’re not tied to any particular ecosystem, and you want a media streamer that just works, Roku is going to make you happy. 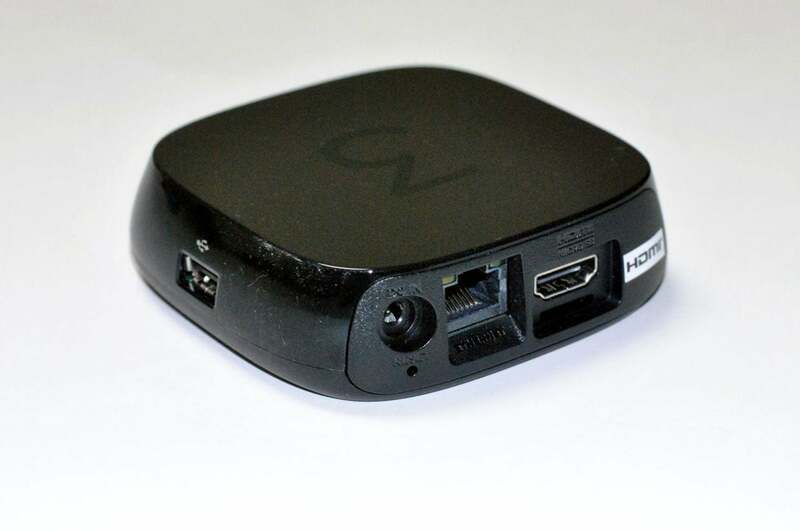 If streaming media boxes were characters in Super Mario Kart, Roku 3 would be Mario. It’s not the fastest set-top box on the market, and it doesn’t have any particularly special gimmicks. But it’s a dependable, safe choice, with a gentle learning curve and a broad range of apps to suit most needs. The 2015 Roku 3 retains the $100 price tag of previous models, but adds a microphone to the remote control for voice search. While Amazon’s Fire TV and Nvidia’s Shield Android TV also support voice search, Roku’s version works across a larger number of apps (including Netflix, which none of the others do). It’s a fast and useful feature, though not quite as accurate with hard-to-pronounce actor and director names as Amazon’s Fire TV. Speaking of remotes, Roku’s is a bit more cluttered than other options, but most everything serves a clear purpose. It has built-in shortcuts for Netflix, Hulu, Rdio, and Amazon, along with buttons for rewind, fast forward, and pause. Just one small gripe: The directional pad feels somewhat mushier than other remotes. 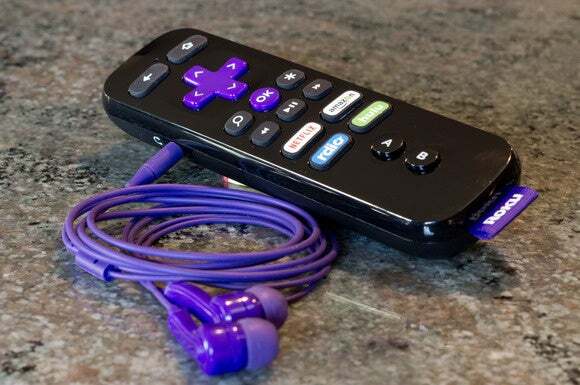 The Roku 3's remote control boasts a headphone jack and a microphone for voice search. 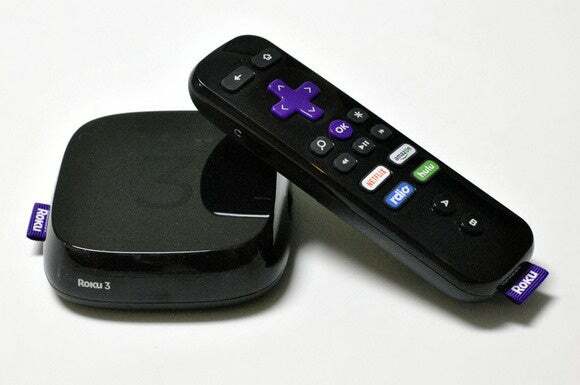 As with previous versions, the Roku 3 comes with an Ethernet jack, 802.11n Wi-Fi, a USB port for local media playback, and a MicroSD slot for storing additional channels and games. 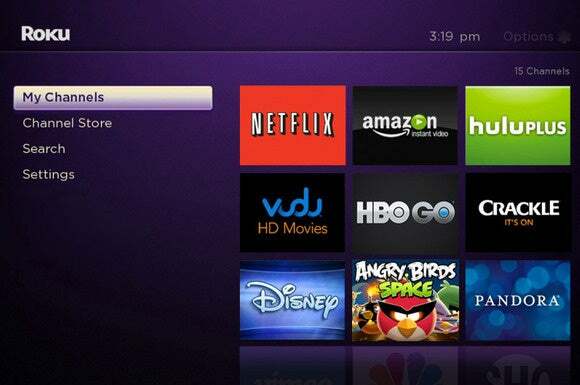 What really helps Roku stand out, however, is its app selection. With the exception of Apple services such as iTunes, nearly every major streaming service is represented, along with hundreds of lesser-known apps for things like classic TV and Kung Fu movies. Down the road, it’d be nice if Roku committed more to controlling the set-top from a phone or tablet, as Netflix and YouTube are the only third-party apps that can cast video to the big screen. Roku has its own mobile app for controlling the device from a touch screen, and beaming camera-roll content to the television. You can mirror a phone or tablet display from certain Android and Windows devices, but these options are bare-bones compared to Chromecast, Android TV, and Apple’s AirPlay. The Roku 3 has a solid user interface, but its My Feed feature doesn't deliver on its promise. Fortunately, software is easy to change. section, which lets users “follow” upcoming movies and get notified when they’re available. It’s not hard to imagine Roku extending this feature to TV shows, and perhaps turning follows into recommendations for currently available content. If you’d rather not spend $100, the 2015 Roku 2 is a fine alternative for $70, with the same speedy processor and app selection. The main difference is the remote, which lacks voice search and a headphone jack. It also relies on infrared, which means you must be within its line of slight. For most users, however, the extra $30 is well worth the new dimensions that Roku 3 adds to the viewing experience. Editor's note: This review supersedes our original review of the Amazon Fire TV. You'll find our previous opinion preserved here. If you’re not tied to any particular ecosystem, and you want a media streamer that just works, Roku will make you happy.